Street parking available. Valet Monday-Sunday. Serving inventive Japanese fusion cuisine using the freshest seafood from Tokyo’s famed Tsukiji market and local New England fishermen, and borrowing influence from the streets of Tokyo, Shanghai, Singapore, Bangkok and Bangladesh, Uni is the evolution of Ken Oringer’s intimate sashimi bar of the same name, which expanded into the former Clio space with Executive Chef/Partner Tony Messina at its helm in early 2016. To book a large party reservation, please contact katie@uni-boston.com. Initially seated in the middle of the crowded communal high top, which was a bad start, but we were neatly and courteously switched to bar seating, where conversation was at least possible. 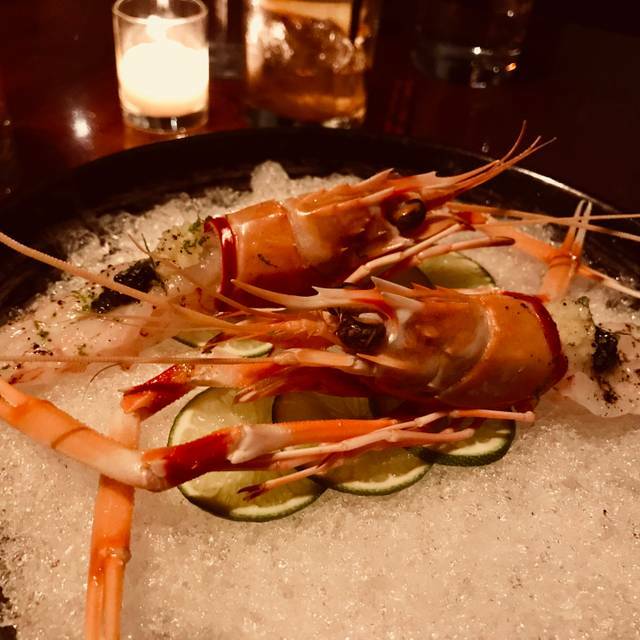 The menu was a joy to work through - we sampled apps, hot dishes, sashimi and nigiri, and everything we tried was simply wonderful. Service at the bar was terrific. We will be back for more - Uni lived up to its fabulous reputation. Not sure depends what looking for. Rap music has to be your thing that is all you could hear. Food is very good but very small portions on hot entrees for the money. Glad I went, probably not go back. The food and service excellent. The noise level horrendous. Japanese with a twist and a double somersault. You really need to know what you want and like before coming. 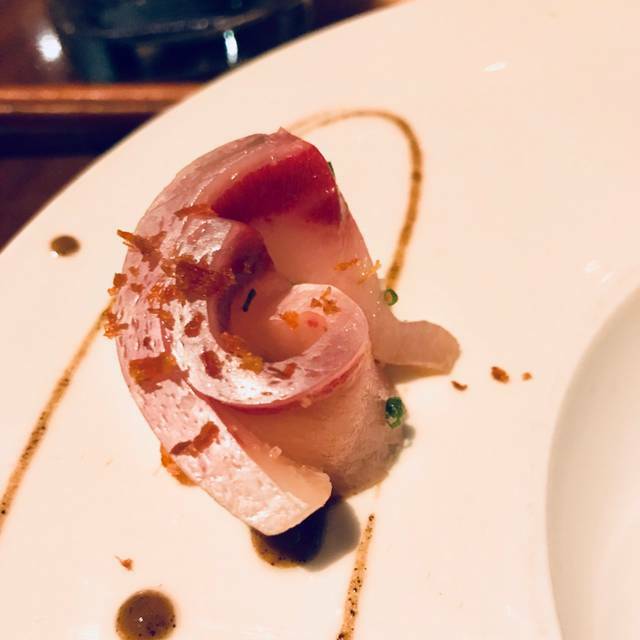 The Nagiri and Sashimi are no exactly what you expect. Nest to take it one or two dishes at a time. Music is the most in Japanese you can imagine. Also not very conducive to conversation. Overpriced for the food quality and portions. The food is always amazing at Uni but frustrated that making a reservation still doesn't guarantee a table. We were seated at the sushi bar which was quite tight quarters with the other patrons and wasn't very comfortable. For the price of the meal and the energy to make the reservation I had expected a better seating option. Wonderful food; not cheap, because generally portions are small, even for sharing, but food was really excellent and creative. Service was outstanding; friendly and fast. Waiters were very excellent at remembering what had been delivered and what was still pending. Staff and front desk remembered us from the night before and were especially attentive. This was remarkable, because it was Boston Marathon weekend and they were totally booked. We went two nights; first night, Friday night, we sat upstairs, but acoustics defied us being able to hear each other without shouting. Second night, we requested a downstairs table, which I would recommend, because we could converse without an issue. One item we would recommend that is not on the menu is a bowl of their plain white rice. We ordered this to eat with entrees, and it was as good as anything on the menu. I would highly recommend this restaurant to others, but bring your credit card. The food was excellent. The noise level and choice of music was annoying. 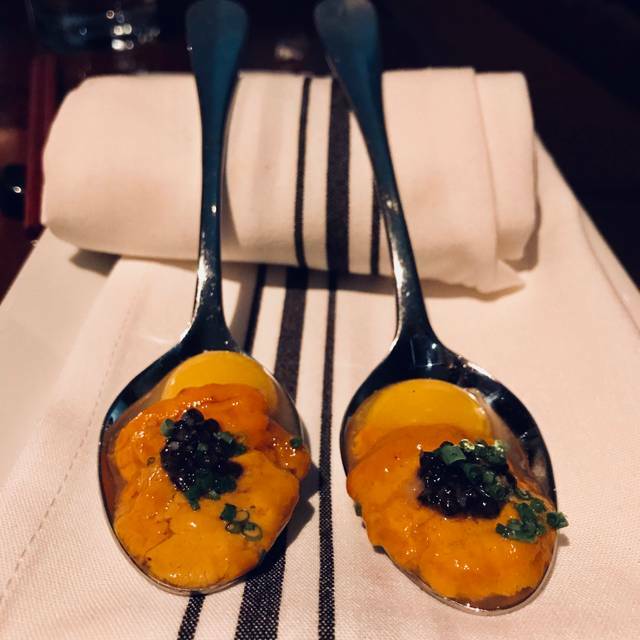 What is different about Uni, as opposed to the usual type of sushi place, is that there is always a sauce, or something else special, that elevates the sushi from a piece of fish to a piece of art, adding a complex but complimentary nuance to each dish. There are also a number of dishes available for those who eat meat but don’t eat fish... not a lot offered for vegetarians, however. Be prepared to pay handsomely, as each plate is around $20, and they suggest 3-5 plates per person, depending on how hungry you are. If you can afford it, however, it is well worth every penny. Plan on spending about $100 per person. The decor is hip and modern. The dim yet warm lighting, jazzy mellow hiphop, and signature cocktail menu give the place an overall lounge-like feel. 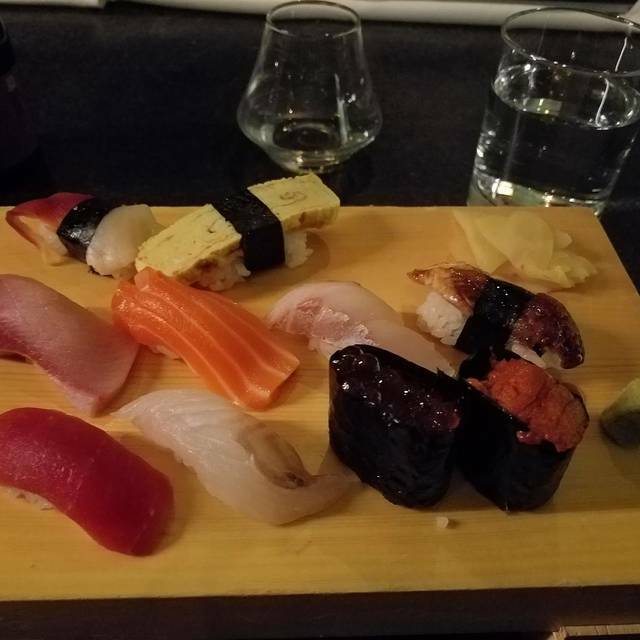 My husband and I sat at the sushi bar, and although it was fun watching the sushi being assembled, the stools were uncomfortable. Next time, I will be sure to request an actual table when I make my reservation. Overall though, the place has a great vibe. It would be a good place to take a date. award-winning Chef Ken Oringer. For those of you who may have been to Clio back in the day, as I have, you will find that Uni is totally different. 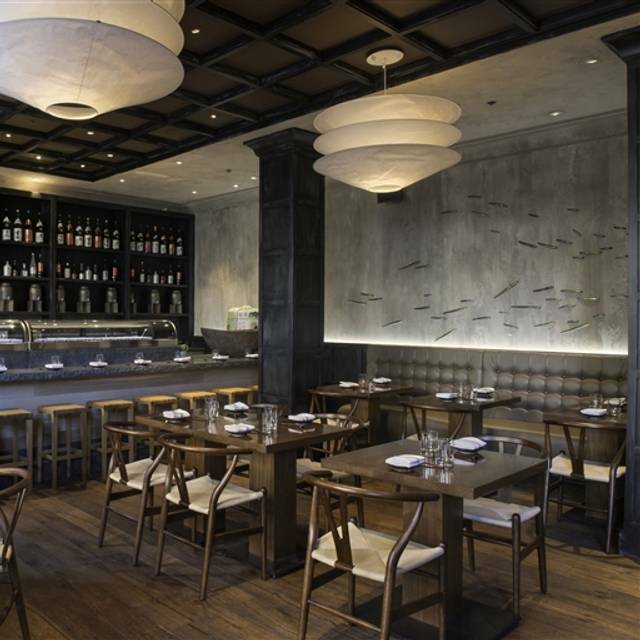 It is more casual, younger and hipper, and of course has a completely different type of menu. However, if you were dazzled by Clio, you will be equally dazzled by Uni... hands down, the best sushi I’ve ever had. The dessert list only had three items on it, one of which I *think* looked like an ice cream made from fish (!) Maybe it was exquisite, but we chose instead to have dessert at the nearby Sonsie, which is just around the corner and never disappoints. Not so great — price to value super low. Food is tasty, but not that exciting, service was great though. Very good food, very relaxed atmosphere, wish it was not part of the 'play music loudly' genre of places. Unusual take on Asian food. New flavors, very tasty! The food was fab. The staff was knowledgeable. They were hopping. Service was a little slow. We’d definitely recommend it! My fourth time here and once again overwhelmingly impressed! The wait staff is always so helpful in recommending food and drinks, as the menu is constantly changes. The ambiance is great in both the upper level and down at the sushi bar. My favorite restaurant in Boston by far. Best restaurant in Boston. Tony Messina is a genius and the omakase is the way to go. Outstanding service and the sushi was the best we have ever had! Highly recommended. Came to Uni after hearing rave reviews from my family. While dishes were tasty, the value just isn't there for the price point. My party was underwhelmed by the wine list and found the dish servings to be severely small. With that said, everything was prepared well and there were many strong flavors. My favorite was the spare rib, hands down, I would love to have those again but am not sure I can justify another overpriced night out just to have those again. 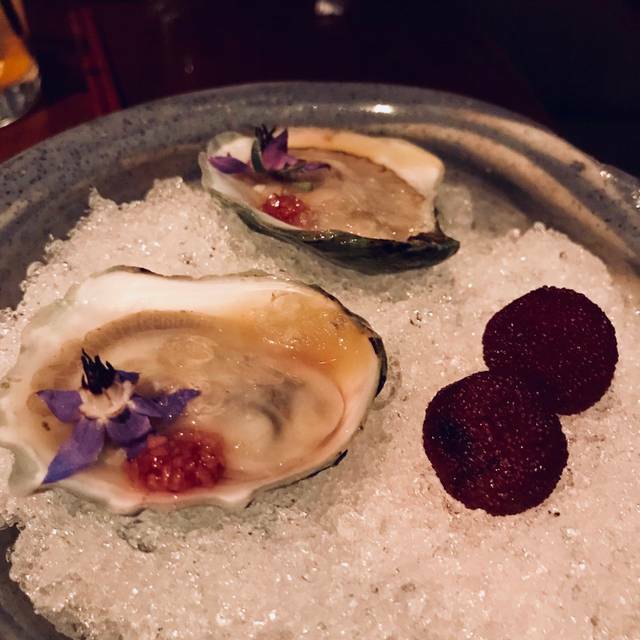 We had an excellent experience - everything was insanely delicious and truly unique - it lives up to the hype! Ivan ramen pop up was everything we expected and more. Amazing food and drinks. We went for the Ivan Ramen POP-Up and it did not disappoint. The staff was great and the food well worth the trip. Delicious dining experience. Knowledgeable staff and creative menu. This is one of my favorite places. The fish combos are delicious, and the foie gras is to die for. Food is amazing as always. Service is impeccable. We had Vi several times as our server and he is very knowledgeable about the dishes and we always like whatever he recommends. He is also extremely professional and very friendly as always. Excellent food! But I mentioned that I dot eat eel guess what, one of the dish was eel?!?! If you don’t care what customer wants then why do you ask ?!?! No print out for Pre fix menu , understand that chef will change the menu every day but it’s not too much to ask to have an update menu too. Too noisy, in the middle of 15 course meal, I went to bathroom to just stay there to get the noise out of my head, load hip hop music and too many people in small space is a perfect place to feel noise pollution!!! Don’t seat at corner table, you can’t stretch your legs so you will be boxed in for the whole night. Best meal in Boston. Worth it every time. Fur just fun, UNI might be OK, but the atmosphere & quality of Food are terrible for Business purpose. This is NOT Japanese restaurant, is Americanized one. 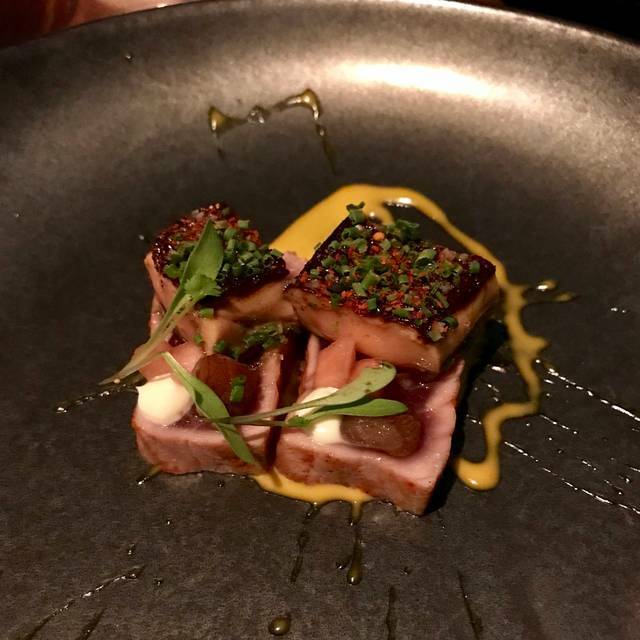 If you want a proper, genuine omakase experience, this is not your place. Fusion plates are a bit arbitrary, and a bit obscure. Everything was amazing! This will be my new go to restaurant when I'm in Boston. Small portions that are over priced. One of the dishes (baby potatoes) was under cooked. We were not very impressed with the food at this restaurant. Our favorite restaurant. 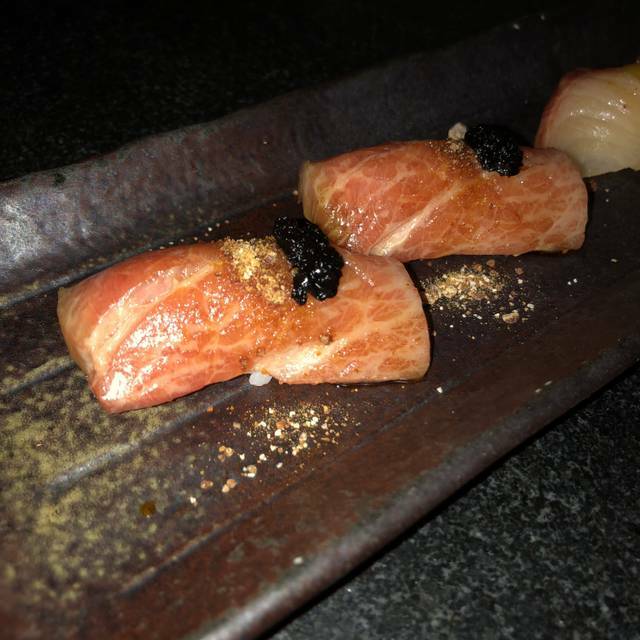 The omakase option is outstanding and reasonably priced. The high top communal table is a great place to sit. Wait staff is wonderful, trust them to make suggestions. The Omakase was disappointing. I will not be going again. All of their fish dishes were drenched in sauce - you couldn't really taste any of the fish! Overly fancy without considering the flavors of the fish. I did not enjoy the korean rice cake dish. It was random and did not add to the dining experience. The server only suggested the MP dishes! In addition they also charged us for still water when we got tap water. This was our second time and the food was so underwhelming. 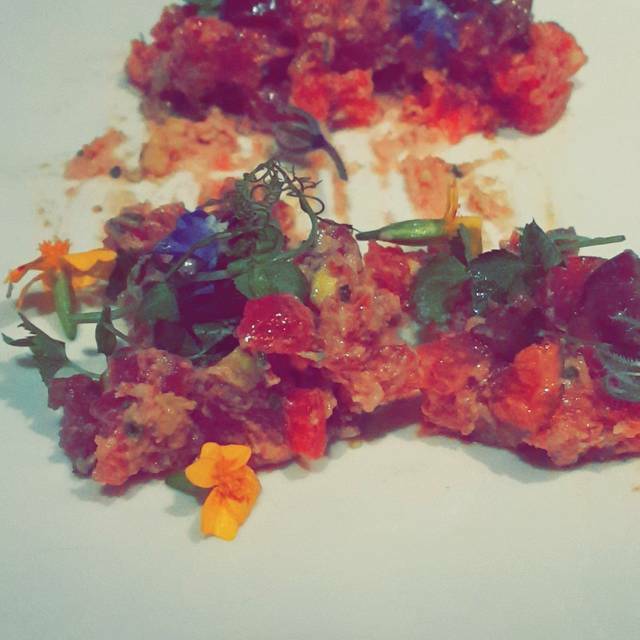 It did not seem to have much flavor and we explored all the different parts of the menu.